1. Fight the New Uber Boss! - The Uber Boss Attack event includes 2 sections, Uber Boss Vanquish, and Boss Defense. - The Uber Boss Vanquish event daily opening time from 2:00 to 24:00 EST each day. The highest Damage of the day will be counted as the score for that day, and rewards will be presented to players based on their Score Ranking. * Players can discover Uber Boss through clearing Exploration Zone, Evolution Zone, Soul Zone or Uber Boss Search Function. * After defeating an Uber Boss, players will obtain points and Feat, which can be used to redeem rewards including a random SSR Shikigami and more. Discover and defeat the Uber Boss 100 times to receive the “Orochi God Frame”. 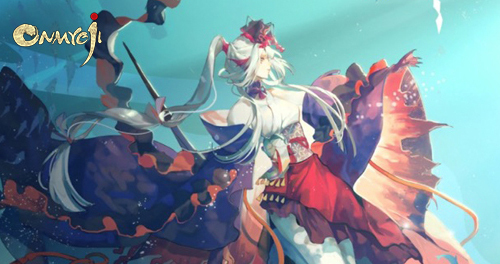 * During the event, every day certain Shikigami will become Powerful Shikigami, who will gain bonus stats while challenging the Uber Boss, with SP/SSR Shikigami gaining a 150% ATK & DEF Up, SR Shikigami gaining 125% and R Shikigami gaining 100%. The event page will remain accessible until April 2nd 23:59 EST for players to redeem their event rewards. During the event, players can use coins, jade, medals, etc. in exchange for items in Fortune Temple. Each item can only be purchased once per day and the quota resets at 00:00 EST. The lineup will refresh every 3 days. During the event, players have a chance of obtaining Evo Drops, Soul Drops, EXP and Coin bonuses after battling in Exploration Zone, Soul Zone or Evo Zone. The bonus duration for a bonus will be extended if the player has already obtained the same bonus. During March 20th 00:00 - March 22nd 23:59 EST, players can obtain a random pack shop discount voucher every day! - Every day during the event, players will have a maximum of 3 chances to draw a discount voucher. The discount voucher with the biggest discount drawn for that day will be given to the player through in-game mail. - The Discount Voucher will be available for 7 days. It can be applied to all packs which can be purchased using S-Jade.